Demand for the iPhone in China is strong, with reservations for the iPhone 6 reaching four million in just one day, reports Chinese media outlet Tencent. This figure tops the two million in six hours reported yesterday and is based on information provided directly by the companies processing reservations on China. According to reservation company Jingdong, reservations are almost evenly split between the iPhone 6 and 6 Plus. The iPhone 6 Plus has accounted for 1,189,083 reservations, edging out the iPhone 6 with 1,106,379 reservations. 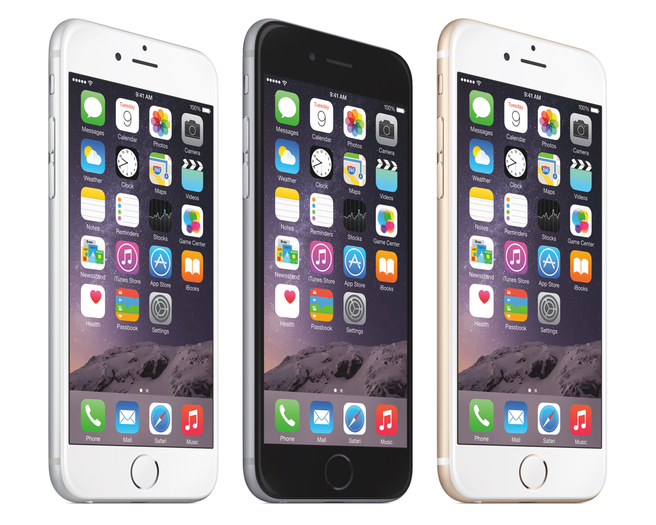 Apple announced earlier this week that the iPhone 6 and 6 Plus will go on sale in China starting October 17. A recent report from Digitimes claims the iPhone 6 Plus may account for 60 percent of Apple's total iPhone 6 device shipments, although usage numbers so far have been skewing heavily in favor of the smaller iPhone 6. Demand for the 5.5-inch model has, however, exceeded supply so far, with the device quickly going out of stock shortly after launch. Shipping estimates for the iPhone 6 Plus are still showing a delay of 3-4 weeks, while the iPhone 6 is available in 7-10 business days in the US and a number of European countries. MacRumors loves sensationalist headlines, not facts. Try reading the article it explains it all. According to reservation company Jingdong, reservations are almost evenly split between the iPhone 6 and 6 Plus. The iPhone 6 Plus has accounted for 1,189,083 reservations, edging out the iPhone 6 with 1,106,379 reservations. 1.189 + 1.106 does not = 4. The numbers are most likely announced on the numbers of the reservations during the first six hours, since it was about 2 millions by then. Can someone please update this post with numbers that lend credence to the 4 million estimate? This post is in serious need of clarity. The reservation agency shows 2.2 million. Was that the first 6 hours or the was that the entire day? If it was the first 6 hours, what are the additional reservation numbers that drive the total to "top 4 million"? Why not post the numbers showing the over 4 million instead of posting numbers suggesting half of that? I don't understand why people don't make the logical conclusion that the reservations totalling two million are probably from the first few hours mentioned in the article. It seems pretty clear to me. There are more than one company taking reservations and only one reported what they did. All from the macrumors summary. Great news! Shows how ineffective the "bendgate" shills have been, and what great products the new Apple phones are—universally around the globe. So who's bitching that most people in China get $1/day? 4 million iPhones preordered out of China's 1,367,080,000 population. Majority of those preorders are probably from the wealthy class. Refer to the article http://www.clb.org.hk/en/content/wages-china. Note that I don't really care about the state of wages in China. Your attitude prompted me to respond to your garbage. I do feel sorry for Samesung. All this well planned campaign against Apple with the bendgate.....for nothing!